Pat Simmons is a self-proclaimed genealogy sleuth. She is passionate about digging up the dirt on her ancestors, then casting them in starring roles in her novels. She has been a genealogy enthusiast since her great-grandmother died at the young age of ninety-seven years old. She has won numerous awards for her previous novels and was voted the Best Inspirational Romance for 2010. 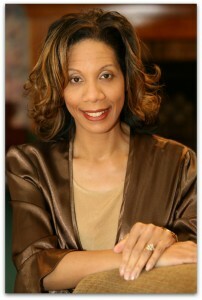 She was also a nominee for the African American Literary Award’s best Christian fiction award. Pat is best known for her Guilty series. 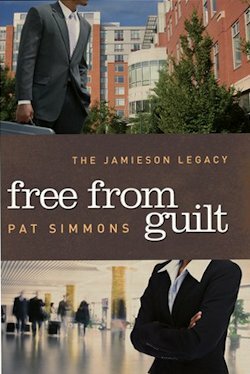 The Jamieson Family Legacy trilogy: Guilty by Association, Guilt Trip and Free From Guilt is a continuation of first three Guilty Series books and the of the story of the much-loved Grandma B.B character and her new sidekick, Mrs. Valentine. Pat and her husband live in Missouri and have two children. In Free From Guilt the third book in the Jamieson Legacy, Cameron, cousin to Kidd and Ace, has it all: the looks, money and tbrains. An MIT double degree graduate and lecturer, he is a genius. No amount of knowledge or wisdom however can convince him of the simplicity of God's love and the gift of salvation. He believes it's much more complicated than those men preaching from an outdated book lead others to believe. It's simply going to take more to make a believer out of him. And, he's not alone in this thinking. Beatrice "Tilley" Beacon, aka Grandma BB is a seventy-something, childless widow who is young at heart and full of life. Her antics are legendary among her surrogate family, the Jamiesons, her five hundred facebook fans and the local law enforcement, to whom she is known as the neighborhood one-woman militia crime task force. The Jamieson's always thought they were a unified front to draw Grandma BB to Christ. But when Cameron, her surrogate grandson and the youngest of their clan, returns to spend time with the family in St. Louis, he immediately takes Grandma BB's position that life is to be enjoyed to the fullest. There's always time to repent ...later. If you would like to read the first chapter of Free From Guilt, go HERE.